Product prices and availability are accurate as of 2019-04-19 00:20:40 UTC and are subject to change. Any price and availability information displayed on http://www.amazon.co.uk/ at the time of purchase will apply to the purchase of this product. We are happy to present the fantastic Glenfiddich Malt Master's Edition Sherry Cask Finish Single Malt Whisky, 70 cl. With so many available today, it is wise to have a name you can trust. 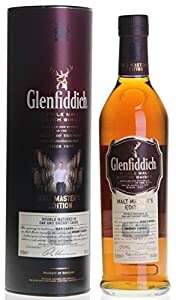 The Glenfiddich Malt Master's Edition Sherry Cask Finish Single Malt Whisky, 70 cl is certainly that and will be a excellent buy. For this price, the Glenfiddich Malt Master's Edition Sherry Cask Finish Single Malt Whisky, 70 cl is widely respected and is always a popular choice for many people. Glenfiddich have provided some nice touches and this equals great value. "70cl / 43.0% - The Glenfiddich Malt Master's Edition was named for the distillery's sixth Malt Master, Brian Kinsman, as he was their first Malt Master to double-mature Glenfiddich whisky in two different casks. This expression was initially matured in traditional oak casks, but was then finished for a number of years in Sherry casks to further develop the flavours, bringing warming fruitcake and gingerbread notes to the table." 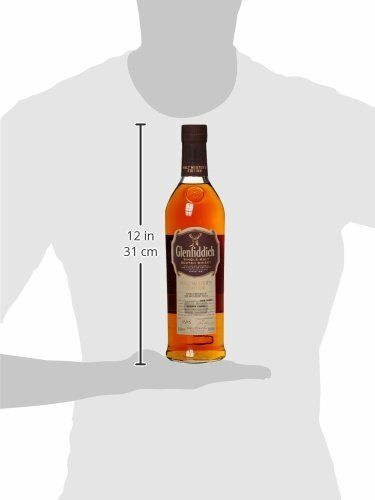 Glenfiddich Malt Master's Edition. A complete original, from our Malt Master, Brian Kinsman. Exceptional skill, decades of dedication and an inventive mind make a brilliant Malt Master. Our sixth Malt Master Brian Kinsman has created our first double-matured expression.After many years ageing in oak casks, our Malt Master's Edition spends its final years in sherry casks. This layers an unmatched depth of aroma and flavour in each one of our individually crafted batches. Earth and soaked wood aromas blend with deep vanilla. Flavours are sharp with spice and round with plum. A hint of toasted almonds gives way to a silky smooth finish. Our distillery was founded by William Grant in 1887. But our story is still being written today, not just by William's descendants, who still own and manage our Distillery, but also by the generations of people who've worked here, helping to create the world's most awarded single malt Scotch whisky 2015 Silver Outstanding Medal Winner - International Wine & Spirits Competition IWSC Awards Tasting Note: Very attractive nose with barley, honey and heather before ripe stone fruits and spice come into action. Great floral backing with lavender and red rose. Hints of sherry all the way. Full but smooth entry into the mouth and super silky flow. All the nose advertised comes into play in the mouth with underpin of fine oak. Sherry spice leads all the way and continues into long, full finish.